Living in Downtown Toronto Condos Is Not A Right. We made the news this week! The CBC’s Lisa Naccarato called me on Monday to offer a comment on Ontario’s 1991 Mike Harris rental “loophole” – apparently a controversial topic for many who live in Toronto. Toronto city councillor Mary Fragedakis moved a motion Tuesday that would see council come out in support of a private member’s bill at Queen’s Park that would extend rent control to apartments built after 1991. Her motion supports NDP MPP Peter Tabuns’s private member’s bill aimed at eliminating what he also refers to as the “loophole”. I don’t agree with eliminating this exemption and I’ll tell you why. Before we get into that…let’s start with a few facts. FACT: Rent control in Ontario only applies to units that were first built or occupied before November 1, 1991. If the rental unit is in an apartment building constructed (or converted from a non-residential use) after November 1, 1991, then the rent control provisions of the Residential Tenancies Act, 2006 do not apply. FACT: The post-1991 rent exemption was originally introduced by Bob Rae’s Ontario NDP government. It’s been maintained over time by Mike Harris’ PC provincial government (they made it permanent) as well as the governing Liberals. A low vacancy rate dropped even lower as developers were disincentivized by the regulated rental market for the freedom of condominiums. The exemption provided the incentive that private developers needed to build much of the existing condo stock as we know it and to recover from years of virtually no rental increases at all. Any changes to this incentive will undoubtedly have a negative effect on the market and real estate development (especially outside of Toronto where vacancy rates can vary) – not to mention the construction that is currently in the pipe. FACT: 85% of rentals in Ontario are covered by provincially mandated rent control. FACT: It’s an exemption – not a loophole. These are two fundamentally different things. A loophole is defined as an ambiguity or inadequacy in the law. There are plenty of those in Ontario’s Residential Tenancy Act. This exemption was intentionally legislated. While it is undoubtedly true that many tenants have seen their rents increase significantly and at considerably more than the mandated provincial increase, there is no evidence to suggest there is widespread abuse of the exemption or that it qualifies as enough of an urgent issue that it needs legislative intervention. FACT: Ontario’s Residential Tenancy Act heavily – almost hilariously – favours tenants. It always has. It favours tenants so much that Ontario Superior court justices have called for the provincial government to adjust the law and end what is a growing issue of tenants gaming the system. In 2014-15, the Ontario LTB received 79,740 applications. The ratio of landlord to tenant applications has remained relatively constant since 1998. 2014-15 was no exception, with 90% of applications filed by landlords. 70% of those landlord applications filed were related to non payment of rent. A stated purpose of the Residential Tenancies Act, 2006, is to balance the rights and obligations between landlords and tenants. It’s plainly clear that the law in fact does the opposite. The last thing landlords need is another short sighted unfair law that hobbles their ability to run their property portfolios as a business. FACT: Condo landlords have it tougher than the average landlord. The owner of the condominium will have fixed, predictable costs in the form of mortgage payments and property taxes, but the maintenance fees (commonly called condo fees) can and often change – sometimes dramatically. Condo landlords are bound by two pieces of provincial legislation. The lease agreement is between the owner and the tenant and that relationship is still governed by the Residential Tenancy Act, 2006, in Ontario. However, within the building itself, the Condo Act has precedence and landlords are responsible to make sure that their tenants follow condo rules. FACT: Landlords want tenants. If they raise prices above what the market is willing to pay then rent will adjust accordingly. The vacancy rate is low for a reason. It takes an average of only 17 days to rent a condo in Toronto. 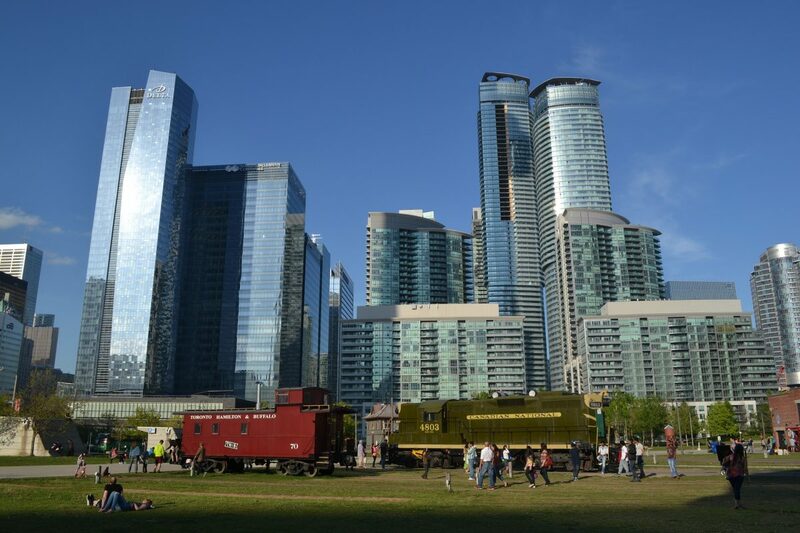 The city averagely sees 200,000 new people move to the 416 area code each year. This issue is supply and demand. Not greedy landlords. Housing speculation is driving much of the current crisis. Toronto is clearly a city where people want to live. Hundreds of thousands have come here from around the world. Young people want to live where the action is as gentrification has firmly rooted itself. I admire ethical landlords. I admire ethical tenants even more. Most landlords and most tenants are both. My solemn advice to any landlord who has a Toronto unit that falls under the exemption: Act in good faith. Be straightforward and upfront with your tenants. Tell them that your unit qualifies as exempt and explain the degree of exposure that exists. Be empathetic about having to potentially uproot your living arrangement and consider the discomfort, hassle, and inconvenience associated with losing your home after a year. Ultimately – a happy long term tenant is better than expensive turnover. Exercise common sense, and demand that politicians do the same.